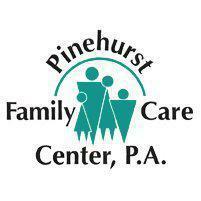 Pinehurst, North Carolina residents who need Sports Physicals or Camp Physicals can get expert care from the team at Pinehurst Family Care Center, P.A. These pre-participation physicals can help patients prepare for the sports season or camping experience in the right way. A sports physical is a physical examination that a person, typically a child playing school sports, must undergo before they can participate in that sport. The purpose of the physical is to verify that the person is healthy enough to play the sport in question. What Does the Medical History Part of a Sports Physical Include? There are two components to a sports physical in most cases: The examination and the medical history. The medical history is typically completed by the patient or by the child's parents and then verified by the doctor. The medical history will usually include a list of any major illnesses in the family, a list of major illnesses that the patient currently has or has suffered from in the past, details of any past hospital stays, details of any past surgeries, a list of allergies, a list of past injuries, and a list of all medications that the patient is currently taking or has taken recently. What Does the Examination Part of a Sports Physical Include? During the physical exam, the doctor will take patient vital signs, check the vision, check the heart, listen to the lungs, look at the ears, look at the throat, look at the nose, and take the patient's weight. The doctor will also test the reflexes and evaluate flexibility and strength. The doctor will ask the patient several questions during the exam about pertinent family history and to make sure that the patient has overall healthy habits and is taking care of their body to the best of their ability. How Long is a Sports Physical Valid For? A sports physical will generally allow a patient to participate in sports activities for a period of one year. Many children who play sports in school have a new sports physical at the start of each school year.